This blog is now located at http://neilpeartnews.andrewolson.com/. 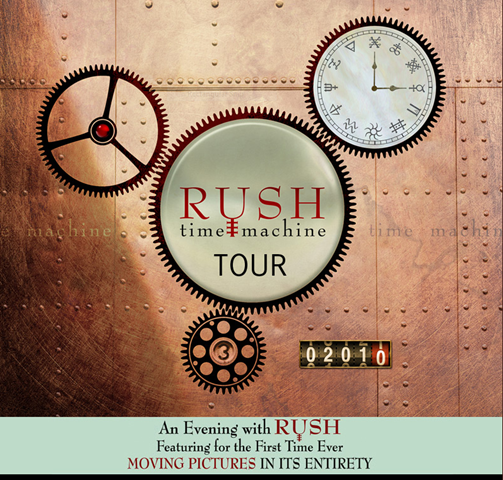 Announced today, The Time Machine Tour is an evening with Rush, where they will perform their classics, give a taste of the future -- and for the first time ever -- feature the Moving Pictures album live in its entirety. The story also includes a footnote that "additional cities and dates to be announced." According to this forum post (and pictures), Rush was in the studio the past week. Here are some pictures of the Snakes & Arrows kit set up for recording. 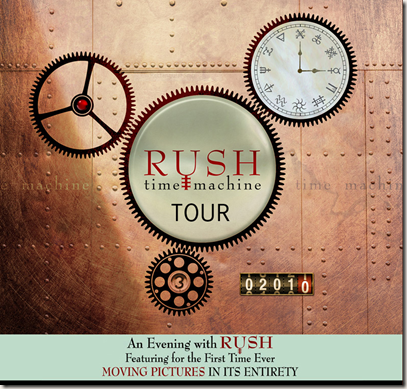 Rush was inducted into the Canadian Songwriter Hall of Fame on Sunday, March 28 for their songs Closer to the Heart, The Spirit of Radio, Limelight, Tom Sawyer, and Subdivisions. 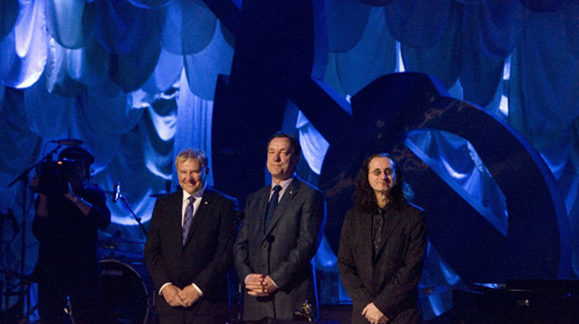 Rush is the first band to be inducted. You can listen to the entire show on the CBC website. This site has some photos of the Banger Films crew with Neil Peart. I also saw that tickets are still available for the Friday, April 30 (4:00 p.m.) show. Note: If you're planning on going to this, please let me know if you'd be interested in writing about the experience. 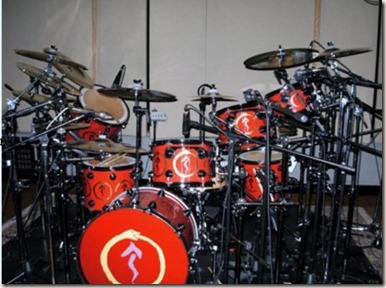 I've added four new kits to the Replicas and drum kits inspired by Neil Peart page. 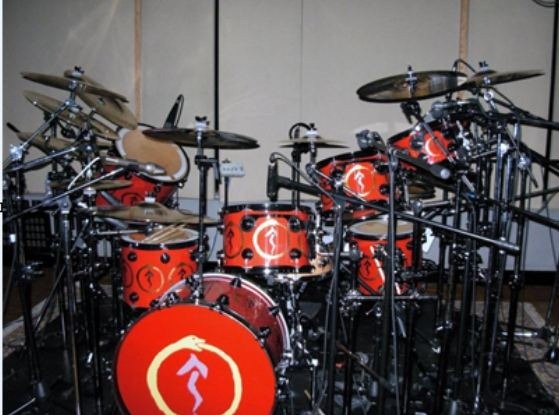 Thanks to all the drummers for sending in their photos! Here's yet another interview with Neil Peart. Some really interesting stuff in this one. For example, here's what he had to say about Subdivisions. "It's a very unusual song construction lyrically and musically that we managed to make work," he said. "It was written at a time when we weren't working, so to speak. We were mixing a live album and we just started playing around and wrote a song for fun. Although it's very serious in it's musical structure, one of the most complicated actually that we've had in terms of arrangement drum part alone, it's a really intricate drum part to play and consequently I still love playing it almost 30 years later and that's a good testament." Here's a new interview with Neil Peart with the Canadian Press about Rush's upcoming induction into the Canadian Songwriter's Hall of Fame. "Being in the Canadian Music Hall of Fame and the Canadian Songwriters Hall of Fame, that's 10 times - 100 times - more (important) than being in some critics' list."